Like its predecessors, Fallout 76 is a massive game. With its loving recreations of West Virginia, from the monsters to the monuments, you can spend countless hours here if you so choose, sifting through the aftermath of the Great War piecing together stories from skeletons and Holotapes. Bethesda is shaking up the Fallout formula quite a bit by adding multiplayer and an increased emphasis on survival mechanics. Fallout 76 makes up for its lack of dialogue choices and roleplay – you’ll have to rely on robots, holotapes, and handwritten notes to eke a compelling narrative out of this world – it makes up for with survival systems. With player-vs-player combat, extensive crafting, and base-building options, and returning hunger/thirst meters, Bethesda’s latest is overflowing with exploration incentives and side-activities. You’re sure to find yourself in a bind due to the new mechanics at play, and you’ll likely need to curb quite a few of your old Fallout habits. As such, it’s imperative that you start your Appalachian adventure on the right foot, which is easier said than done in a such a strange new world. Here are a few Fallout 76 tips to guide you through your early hours in post-apocalyptic West Virginia. As you begin this new journey, your Bethesda game instincts are going to kick into high gear: you’re presented with a wild and wonderful open world, and you’ll understandably be tempted to walk into the distance and ignore the story quests. Don’t do this. By all means, take small detours and explore your immediate area. But do not take your measly starting inventory and run across the state to the Mothman Museum, Vault-Tec University, or – god forbid – a neighbouring region like the Ash Heap. Sure, the game is balanced in such a way that you can take down level 23 scorchers at an early level. However, doing so will quickly deplete your ammo and stimpak reserves, leaving you stranded in uncharted territory with naught but a plank. 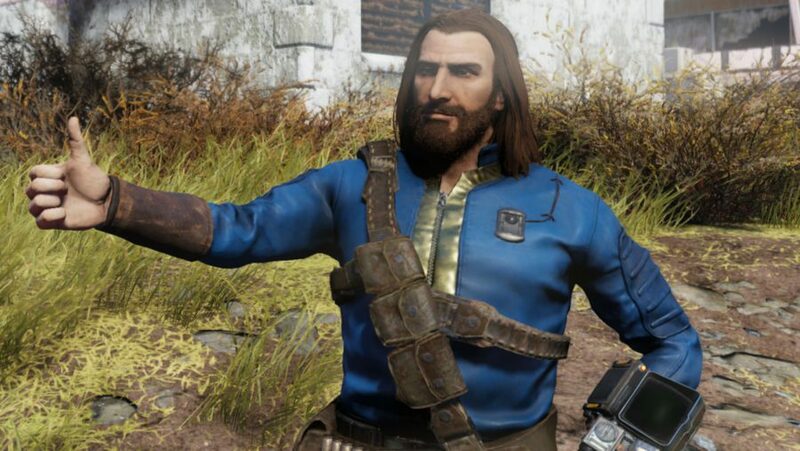 Upon exiting Vault 76, make an immediate right hand turn, grab a pistol from a nearby corpse, and hightail it to your first quest objective. This will be the Overseer’s camp, which will provide you with a sizeable stash of helpful items and building materials. You’ll want to do the bonus objectives here, too; make some leather armor and a trusty hatchet. This hatchet will be your best friend for a while – melee is very powerful in the early game and you won’t need to keep your ammo supplies topped up. Keep following the main storyline through its Flatwoods and Morgantown sections, carefully scouring both towns as you go. Each mission provides a heft of resources which are invaluable in these early stages. If you see any nearby public events, do those too. Players in the surrounding area will likely pop in to help, and the event should reward you with some good food, rare crafting materials, medical supplies, and sometimes even a new weapon. Crafting and cooking are both integral to Fallout 76’s overall experience. In light of this, you should probably lean into these new systems, at least early on. Cooking is an easy source of clean food and water, staving off those pesky meters while also keeping your radiation levels low and slashing the chances of picking up a disease. As you find more materials and recipes, you’ll be able to create Stimpaks, RadAway, and food with extra benefits. Pick up every single item and stray piece of junk you find. This “junk” can be scrapped at a workbench and turned into raw materials. While scavenging, you may also find crafting recipes. You’ll need recipes and materials to create new weapons and armour, as well as developing your humble settlement into a fortress. If you’re having difficulties with carry weight then don’t forget you can lose weight by scrapping all junk at any kind of workbench, or visit your Stash in locations around the world – these are containers that only you can access and anything you store in one will appear in all Stashes. And don’t forget your Quick Slots, either. With them, you can map specific items to a radial menu for easy use. This is ideal for multiple, “last resort” weapons; big healing items; things to protect, prevent, or remove radiation poisoning; and most any other object you’d find useful in a pinch. This is especially important in Fallout 76 as the game won’t pause when you pull up your Pip-Boy. Building the perfect C.A.M.P. is a little more in-depth than the settlement creation from the last Fallout entry. Fallout 76 places heavy emphasis on the ability to create your own base with your buds, so remember to try it out and have fun! A C.A.M.P. can be created any time from your Pip-Boy menu, but cannot be within a certain distance of set locations or props. Once established, you should populate your new home with some crafting benches and a cooking pot. You can also fast travel here for free anytime. 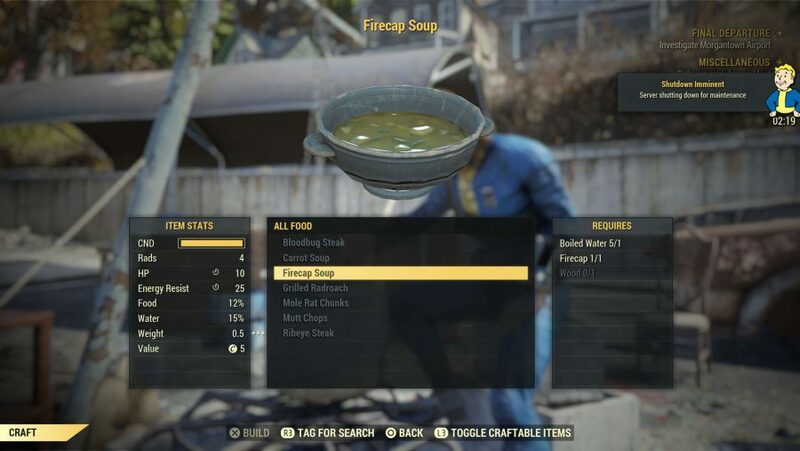 As we mentioned earlier, any recipes or raw materials you find can be used to create furnishings and defenses for your C.A.M.P. 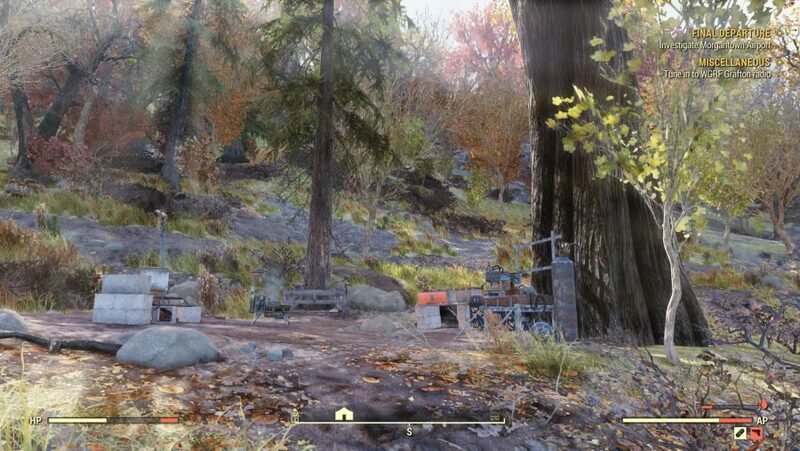 If you need a change in scenery, you can move your C.A.M.P. at any time by paying a few caps, but this will dismantle your carefully pieced-together structures. To prevent that, you can save specific layouts beforehand by turning them into a “blueprint.” When you move your base to a new location, simply lay down that saved blueprint to restore your hard work. Check out our full Fallout 76 C.A.M.P guide more help with creating your settlement or our guide to Fallout 76 Public Workshops if you’re interested in a more volatile settlement. Surprise, surprise: other players aren’t always helpful! If someone starts attacking you, you’ll take a fraction of damage until you engage them with an attack of your own. Once a true fight breaks out, both players will take full damage. If either player dies, their junk supplies will fall to the ground and can be grabbed by their enemy. This is why it’s a good idea to exchange your junk. Here’a quick tips for if another player starts attacking you: just keep soaking up the reduced damage until they run out of Action Points or bullets, then respond for full damage with a shotgun blast or two at close range. Pacifism is always an option, too: if the victim dies without retaliating, the surviving individual will be labelled as a murderer. They’ll have a bounty placed on their head (which will come from their own pocket), can’t see other Vault Hunters on their map, and appear as a giant red dot on the maps of surrounding players. Friends of the killer can also collect the bounty, creating a weird situation for cold-blooded survivors that go against their team’s wishes. Once you’ve gotten your bearings and are sitting on a small trove of useful knick-knacks, you should be set to move into the world around you. New regions will spawn in much, much more powerful enemies, so if you’re not prepared for them you might be in for a very hard time. You may not always want to prevent irradiation! Succumbing to large amounts of it can produce a mutation, which add interesting consequences to deadly circumstances. Many add positive perks, stat debuffs, or both! That’s especially true if you’re travelling solo, so you should always try and form a group before exploring new areas or attempting to clear out towns and large buildings. Friends make the experience more entertaining, but they’ll also serve to further distract and damage hordes of irradiated foes, plus being revived and keeping your scrap is better than trekking all the way back to the battle from a nearby location. Playing in a group also helps you take full advantage of the fast travel system whenever possible. 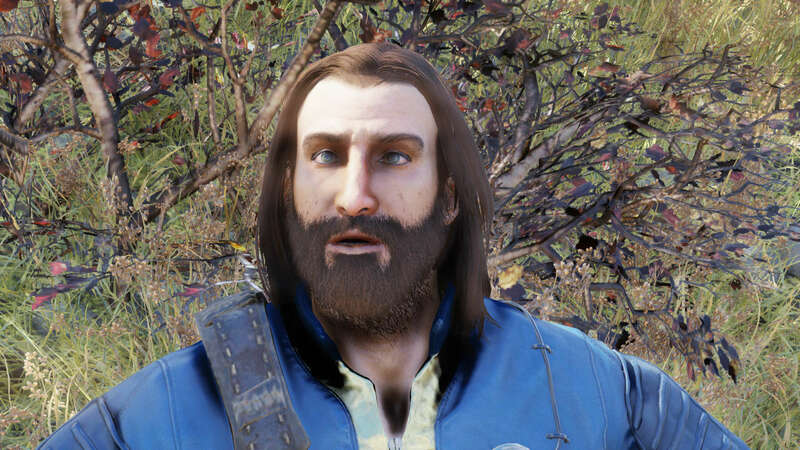 You can travel to Vault 76, your C.A.M.P., and allies for free. Perhaps you and your pals could go on small individual scouting trips, and travel to one another as you find cool locations? Keep in mind that you can also warp away from tough groups of enemies. With a few caps in your pocket, you can teleport to a wider variety of spots, furthering your backwoods exploits – provided the foes aren’t too close. The Vault-Tec Assisted Targeting System (or V.A.T.S.) should be familiar if you’re a Fallout veteran, yet the mechanic comes with a few changes. Thanks to the online nature of Fallout 76, V.A.T.S. no longer slows down time to let you auto-aim and plan your fights. Instead, it serves as a sort of lock-on system, presenting you with a real-time “percentage” to hit the enemy you’re aiming at. In essence, it works a lot like its previous iterations, just without the time-alteration. You won’t be able to target individual limbs straight away, but with the right perks you will be able to turn V.A.T.S. into a very valuable asset. So what about the S.P.E.C.I.A.L. mechanics and character progression in Fallout 76? These level-ups work as a sort of card-system: Perk Cards provide stats, tweaks, and powers, and can be equipped for every S.P.E.C.I.A.L. attribute. These cards can be “shared” with everyone in your team, even if they don’t own said card. You can power up one S.P.E.C.I.A.L. attribute per level, giving you an extra point with which to equip a Perk Card of that type. You also get to power up one card each level. Starting at level 4, you’ll earn “Perk Packs,” which grant multiple cards at once – you’ll get one of these Perk Packs every two levels up to level 10, then every five levels up to level 50. Levelling up is a powerful tool in every game, and Fallout 76 is no exception. Atoms are Fallout 76’s premium a currency that you can buy with real money, and are used to purchase cosmetics and emotes in Fallout 76. But you can also earn a hefty sum of them by completing Atom Challenges. Most of these are simple tasks like “Reach level 6,” “Pick 5 locks,” “Kill 76 animals,” or “Emerge from Vault 76.” There are also recurring daily and weekly challenges, giving you a steady source of cosmetic cash for doing things you were likely going to do anyway. And there you have it, everything you need to get started in Bethesda’s brave (and buggy) new world. As you may have noticed, Fallout 76 is an entirely different beast than its predecessors. But you’ve spent your level-ups, built a cosy home, assigned your Quick Slots, amassed a fortune in weapons and armour, and crafted everything you could ever want. You’ve even mastered PvP, fast travel, and V.A.T.S. If you’ve followed every step then you and your friends are ready to face the Appalachian wasteland. Keep your eyes peeled for more loot and nefarious players, but otherwise, you should be set to play as you see fit. Begin chugging through the story, search for the perfect C.A.M.P. spot, chip away at the side quests, or throw your plans out the window for free-spirited exploration. The introductory sequences truly are the roughest parts of Fallout 76, so now that you’ve survived, congratulations! You made it, Vault Dweller – it’s time to rebuild America!